2014/15 was the start of a two year partnership with the City of London Corporation. 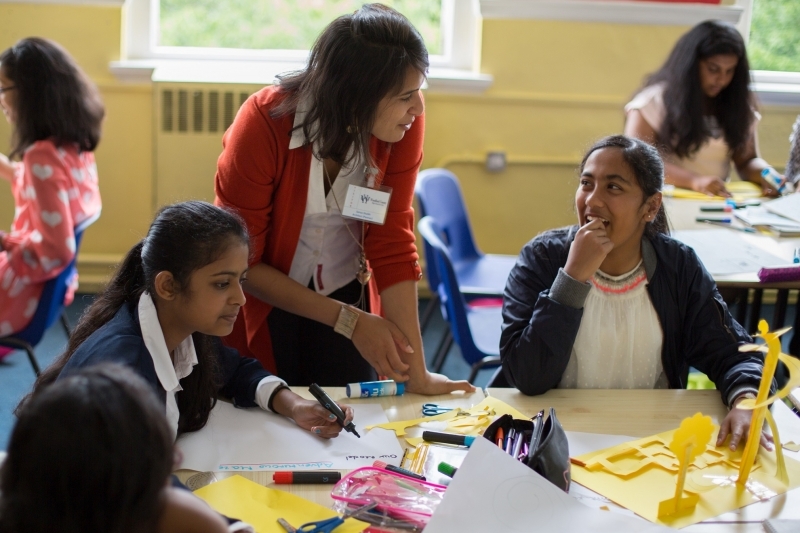 The project took City workers back to their old schools in the City’s neighbouring boroughs to bring the curriculum to life, running 13 sessions for over 500 students. The programme also signed up 511 City workers to support their old schools across the UK. In 2015/16, we ran 38 sessions with even more City role models and students involved. In 2008, Vanessa Vallely founded the business networking site www.wearethecity.com as a vehicle to help city women to connect. She is also a professional and sought-after motivational speaker. After connecting with Future First, Vanessa attended her first event at Haggerston School in Hackney, and has since returned twice more. First. she participated in a year 8 assembly, where she spoke to students about starting to build their future now and enhancing their skills and opportunities. The second session was in a Year 11 lesson, feeding her practical experience into the teaching of the Business Studies curriculum. The lesson addressed establishing and marketing a new business- helping students to prepare for their GCSE exam.